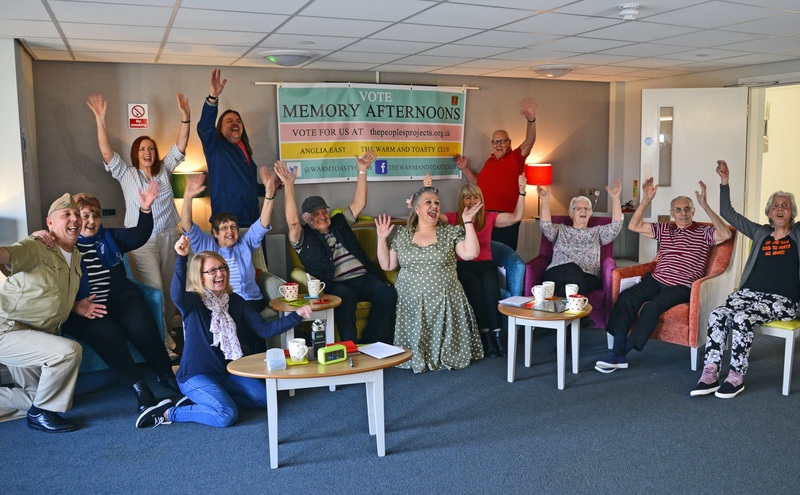 The Warm and Toasty Club have made it to the final of The People Projects for the Anglia East region and we have the chance to win £50,000 of National Lottery funding for our project Memory Afternoons – and we need your VOTE to help us win. 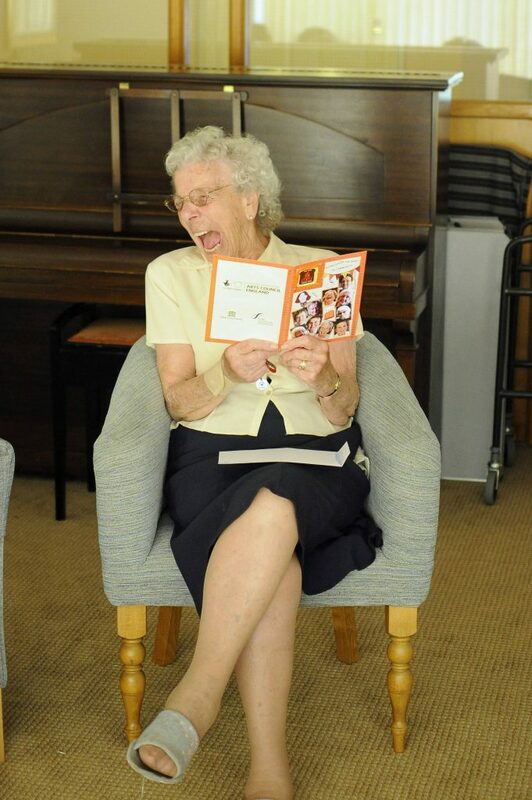 Memory Afternoons are charming befriending and conversation events for older people with delightful live entertainment. These unique events are all about making older folk feel cherished and valued whilst providing development opportunities for young aspiring artists. With your help, we can invite up to 100 older people every week for a year, to a local community hall to share positive memories of their lives, be entertained by singers and dancers and take part in a range of activities that will help them feel less lonely and isolated. Memory Afternoons have proved to be extremely successful over the past 4 years with The Warm and Toasty Club having held these afternoon events at retirement establishments in Colchester and Essex. Our team put their heart and soul into making these events special and we would love to be able to take these events out into the community – your vote can help us deliver a year’s worth of these delightful afternoons at a set local venue with community transport to help bring our less mobile guests in. Memory Afternoons will support, develop and showcase young emerging artists and provide opportunities for community arts professionals to work directly with the older participants. 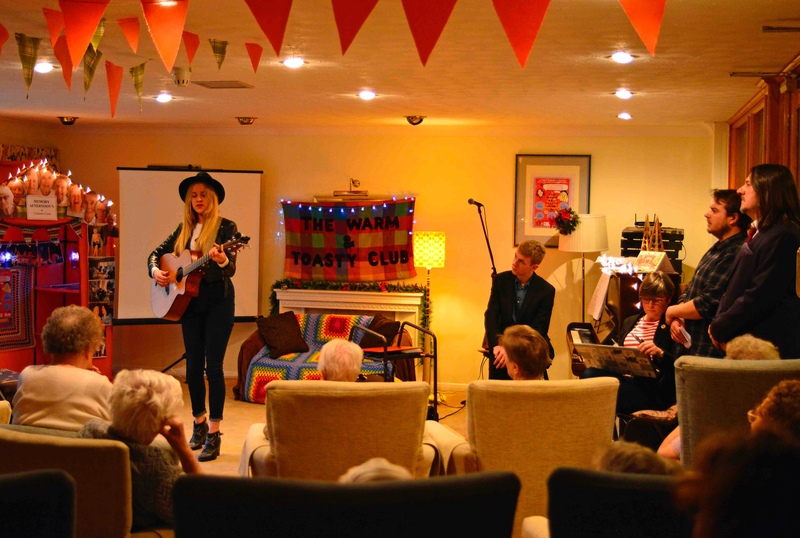 Young songwriters will be supported in writing and performing songs about the shared memories, artists will draw and make memento cards and singers, dancers and entertainers will perform as collectively we chat, we laugh, we share and we get happy. 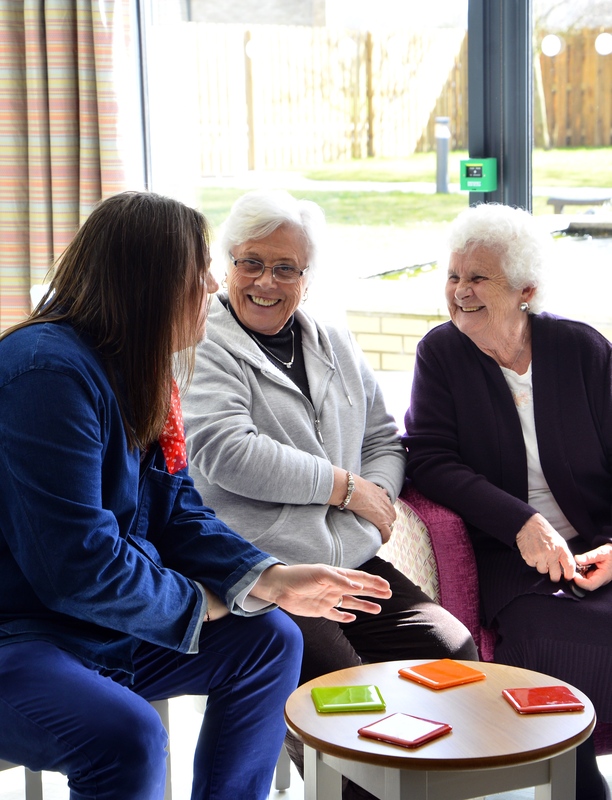 We want to get people away from the TV to act as the catalyst for change by getting them chatting, laughing and making friends, as positive face to face engagement is so good for your physical and mental well-being. Memory Afternoons also capture people centered positive stories of days gone by for future generations to access on the archives of Essex Sound and Video Archive and Colchester Recalled and via our online podcasts. But this isn’t a dry offering, oh no, this is face to face engagement that is full of fun, laughter, singing and dancing. By sharing memories of lives well lived we turn the mirror back on participants to celebrate the rich and varied lives they have lived – our events have shown to really work in helping participants feel good about their lives and open up, they feel cherished and appreciated and we have seen that by doing so their loneliness is lessened, their social activities and circle of friends improved, their long term memory and their cognitive skills improve, they get out of the house and their self-worth and confidence greatly improves. We’ve seen the real difference Memory Afternoons make – giving a new-found joy and confidence so that older folk blossom again. We will also hold public entertainment events at Colchester Arts Centre to showcase the worth of our older generation to the wider public. Winning this money would make such a big difference to the lives of older people in our area and allow us to set up a central local hub which they can attend weekly to chat, laugh and have fun and which they don’t have now. Many older Colchester residents (both living in care homes and independently in the community) face a lack of engagement or activities available and/or relevant to them, particularly when faced with issues of health, mobility and finance, this project will greatly help with that. This funding will pay for the venue, staff, community transport, food and drink, equipment, singers, dancers and songwriters and give so much back to our community with our people centred approach.